Fancy Napkin: .outside favourites for the 1.5 year old crowd. .outside favourites for the 1.5 year old crowd. with our weather scheduled to be ridiculously hot this weekend [yay! i'll take what i can get even with being 6 months pregnant!] 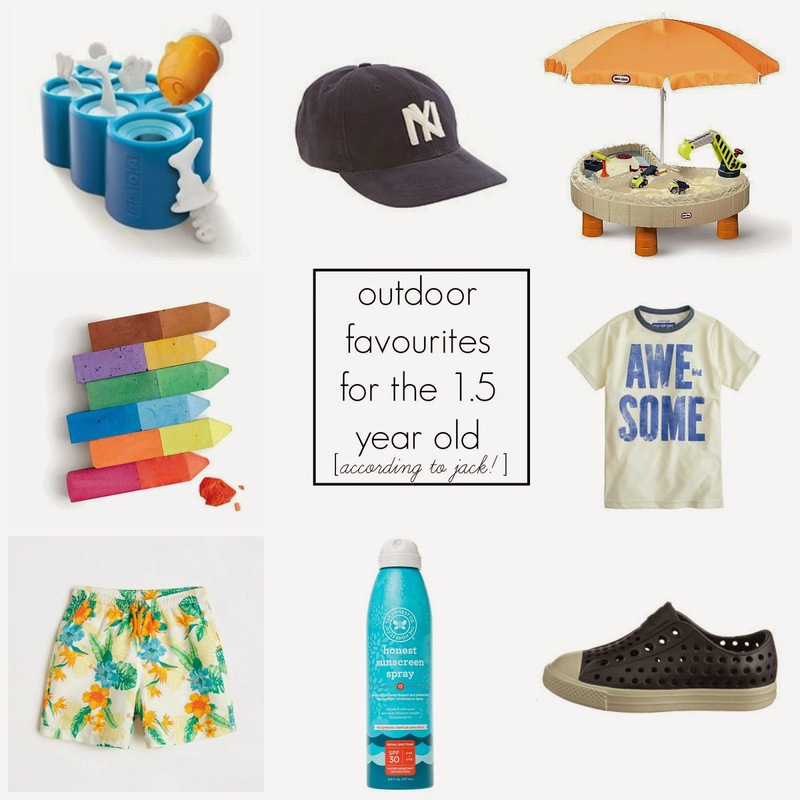 i thought it appropriate to share a few of jack's favourite outdoor items. he's rounding 21 months old, so if you have a toddler in that age range, id grab a few of these and enjoy this weather while you can. also - besides the bit of colour you get on your skin from being in the fresh outdoors, your toddler also sleeps like a baby again! win - win!! zokuhomme fish pop moulds || this ice pop mould & maker is basically the coolest [pun intended!] sucker around! fish bones, shark, a scuba diver and even an octopus are shaped from any juice concoction you can think up. healthy or not-so-healthy is totally your choice, but always super fun with these! ny ball cap || after much persistence from both peter and i, jack is finally on the 'hat' train every time he goes outside. with his white-blonde hair, this has quickly become an essential for keeping our precious boys head from burning constantly. so why not make it a cool ball cap, right? water/sand table || we actually have a similar model with a pirate ship from costco, but this dump truck table would basically be a little boys dream. 'awesome' rash guard top || while jack isn't always sporting a swim guard, if i know that we'll be outside for much of the day or if it's ridiculously hot out, i'll slip him into this for a little extra awesome spf50 protection. just remember, this doesn't replace your regular spf routine! native jefferson shoes || basically the best water shoes around. easy to put on, lightweight and pretty darn cute! jack's already lived in his and summer has just begun! 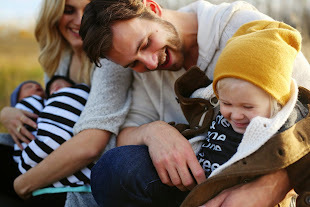 honest co. sunscreen spf 30 spray || this spray is uva/uvb, free from harmful chemicals [non-nano] and the spray is easy enough to apply without jack freaking out the entire time [well, who am i kidding...the kid cries the second i say sunscreen - what is with that?!]. it's water-resistant for up to 40 minutes and dries quickly. i quite enjoy it. tropical print bermuda swim trunks || well, of course i put my son in one of the coolest summer trends of 2014 - the palm tropical trend! he has more pairs than i can to share and these ones are pretty great. colorblock chalk || jack been on a serious colouring kick as of late and getting to colour on a sidewalk?! mind-blown! now just to teach him that sidewalks and walls are not the same thing! .at 27 weeks, with the treb twins. .this month's shopping list: july. .at 24 weeks, with the treb twins.